Have you ever had a phone call come in which you couldn’t answer right away, but it’s important enough that you don’t want to forget to call back? The iPhone has a great solution to this common scenario, with the iPhone phone apps “Remind Me” feature. The iPhone will offer an option to remind you in one hour about the phone call, or when you leave work or home if you have the various location services turned on for that ability. 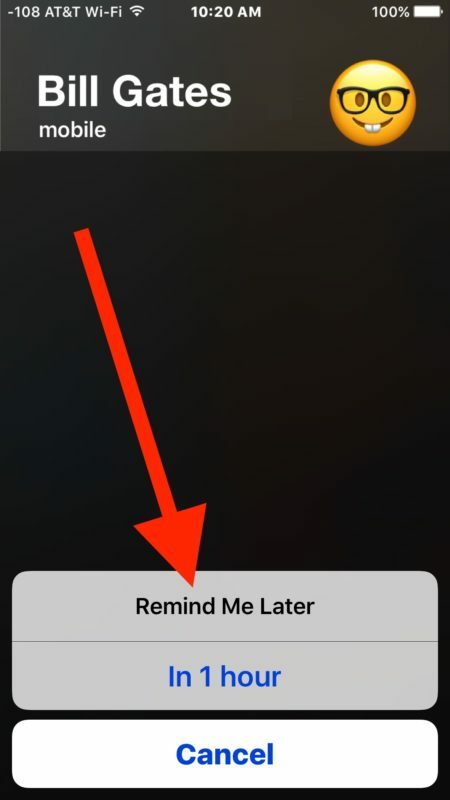 This is essentially just a phone front end to the reminder app and remind service, which you can also access manually from the Reminders app or by telling Siri to remind you about something, but since it comes from the phone app and is available when a phone call comes in, it’s perhaps one of the most useful ways to trigger the function. Another option is to use the message responder for incoming calls to iPhone which will send the caller a text message or iMessage from an approved auto-response message list. You can always just send a call to voicemail on iPhone too and then use the visual voicemail transcription service to read a voice mail if it’s left, but the reminder feature is really quite handy if you’re forgetful or just want to emphasize returning a particular phone call. It’s not an app, it’s a feature within the built-in phone app that’s already on your iphone (the app you use to make and receive calls). 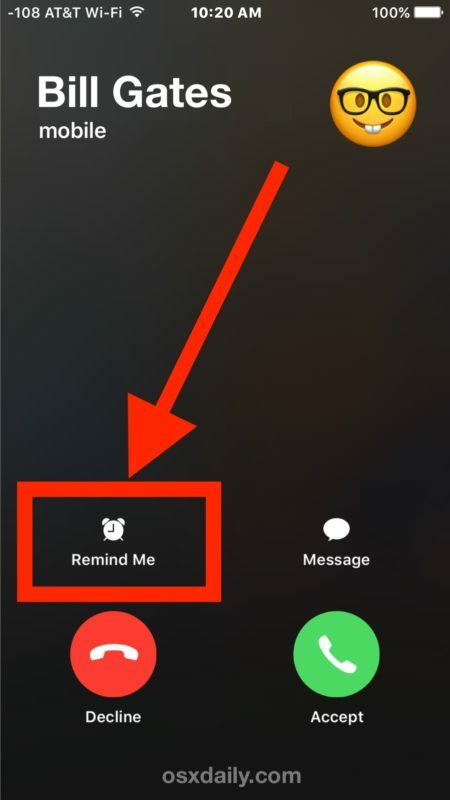 As shown in the article, you can only see and select the remind me option when you receive an incoming call. I suggest you re-read the article carefully. Thanks for this. I commonly forget about this option. NOW what do we do about reminding ourselves to return a text!! I hate that you can change a read text to “unread”. I always always forget to do a “to do” that stems from a text. I need some what to remind myself quickly, to flag it etc. Any ideas? It’s already part of the phone app, nothing new to download. Great tip. Thank you. The hard part is training yourself to hit “remind me” rather than declining or sending straight to voicemail. I must look out for this next time. As well as Bruce Norvell, comment. I couldn’t find the app at the App Store. I found something similar but different somehow. There is no app, and nothing needs to use the App Store. The Phone app is built into every iPhone as is the Remind Me feature. Any modern version of iOS for iPhone includes Remind Me. And just as I told Bruce, it’s not an app it’s a feature that’s part of every iphone’s built in phone app (which I’m sure you’ve used before to make and receive calls). You will see the ‘remind me’ option every time you get a call. Seems like it would just be easier to answer the phone. Yes if you can. However, under some circumstances such as in a meeting or a class, answering might not be the best option. That’s when alternatives such as remind me can be useful. 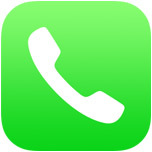 Was Bill Gates calling you to ask when the next iOS Beta version would be released? I have iphone 5s and no remind show up when people call me ?!!! Please suggest how to turn the feature on. No “remind me” option shows up when I get a call in my iphone 7. It is updated to latest version. Yesterday I have my phone updated to 10.3.3 and now every time I have a call there is no bottom “remind me”. Will be any suggestions?? actually came here because getting these reminders even for missed calls so don’t want to get them, how to disable and just have calls appear in the missed calls no reminders set.